Every year, the Illinois State Lottery contributes hundreds of millions of dollars to help fund public education in Illinois, but areas with high lottery sales often also have school districts that remain severely underfunded. Illinois has not had a budget for nineteen months, instead relying on stopgap spending to fund social services such as public education. Illinois also has one of the least equitable school funding formulas in the country. Earlier this month, a bipartisan commission created by Governor Bruce Rauner published a report highlighting the wide funding gaps between high- and low-income school districts in Illinois. The use of Illinois lottery funds is especially important to McBryde and other South Side residents, who contribute a significant portion of the lottery’s total revenue. 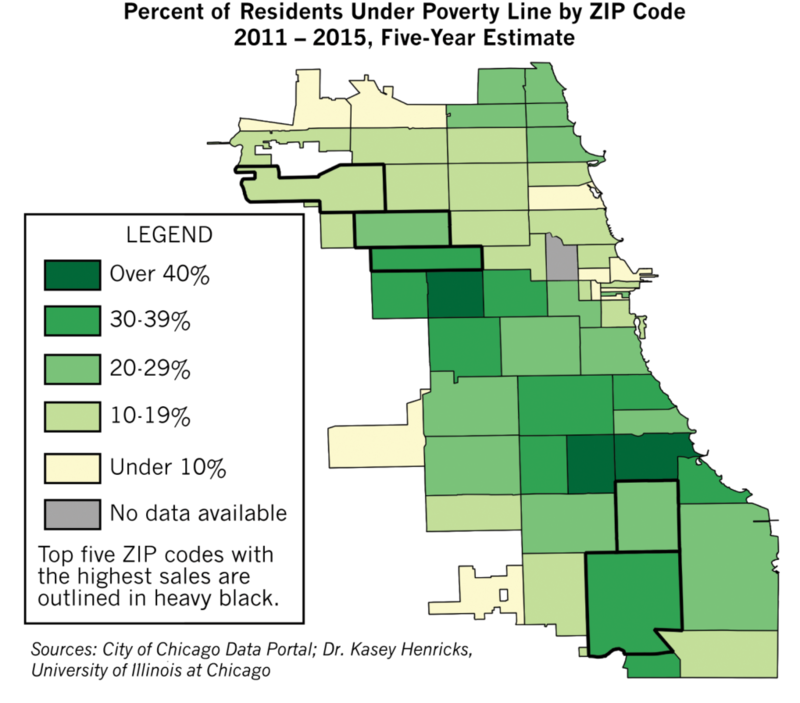 About seventy percent of Illinois’s lottery funds come from the Chicago Metropolitan Area, and spending within Chicago is concentrated in communities of color on the South and West Sides, according to new research by Kasey Henricks, a sociologist at the University of Illinois at Chicago. “Given that you have some communities on the South and West Sides that generate $20 million a year, compared to a couple million dollars a year in Lincoln Park, there’s no mystery in terms of who that money is coming from,” Henricks said in an interview. Since 1985, Illinois has directed its lottery proceeds into the Common School Fund, which distributes money to school districts across the state. The lottery annually contributes around $670 million towards K-12 education, or about ten percent of the state’s total K-12 spending. In its history, the lottery has provided over $19 billion to public education and millions to other causes, the Lottery said in an email. 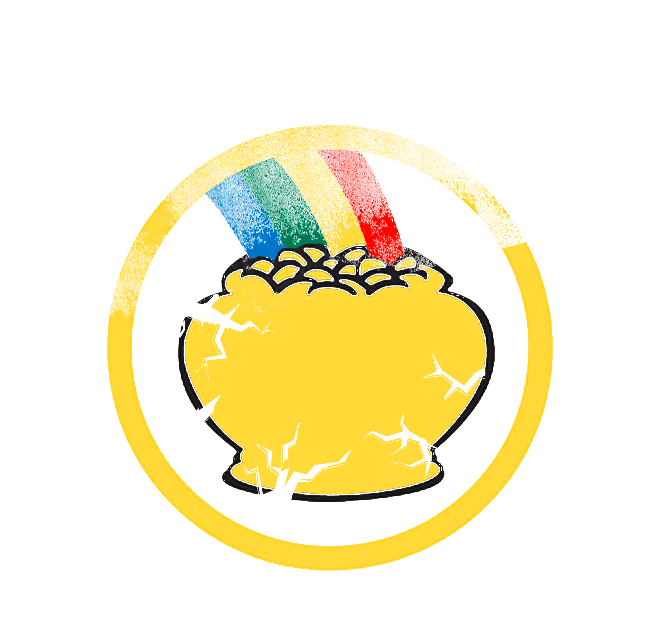 However, the lottery does not actually increase the amount of money that goes to schools: lottery funds replace existing funds rather than supplementing them. For every dollar from the lottery that goes into the Common School Fund, a dollar from another state revenue source comes out, explained Ralph Martire, Executive Director of the Center for Tax and Budget Accountability. “Many people believed…that the net revenue from the lottery, after paying winners and the administrative costs, was going to be an additional investment in the K-12 education system. It has never been that,” said Martire. On a Saturday morning at Hollywood Food Market on the border of Chatham and Greater Grand Crossing, several lottery players only had a vague idea of how Illinois uses funds from the lottery. Although most knew the lottery has traditionally helped fund public education, they were not sure whether this is still the case. “I thought it was for schools, but the way it sounds, it’s not anymore. I don’t know what happened,” Mable Benjamin, a lifelong Chatham resident and daily lottery player, said. While the lottery allows Illinois to spend less money from its General Fund on education, communities on the South and West Sides pick up the cost. 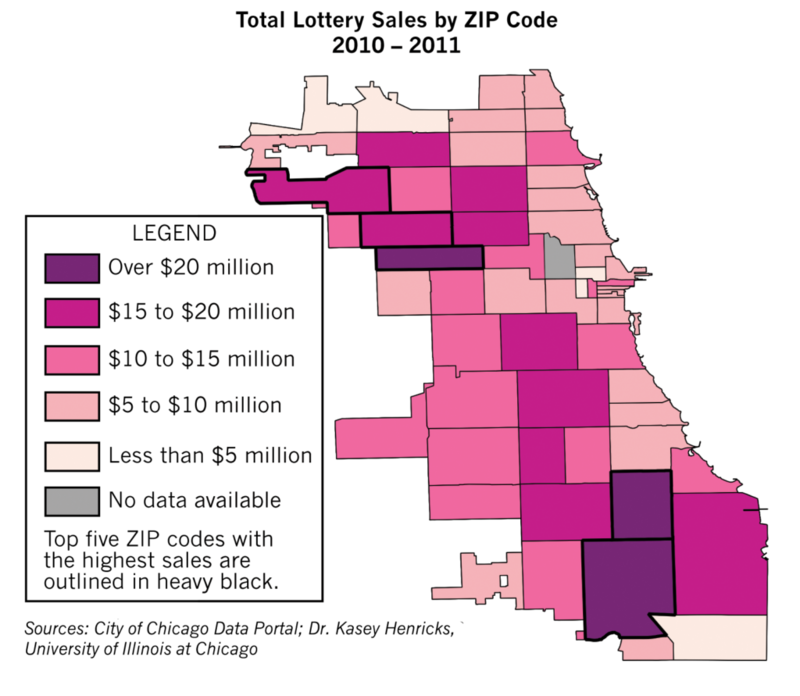 Out of the nearly $2.2 billion of lottery sales in 2011, about $1.5 billion came from the Chicago Metropolitan Area, according to Henricks’s study. 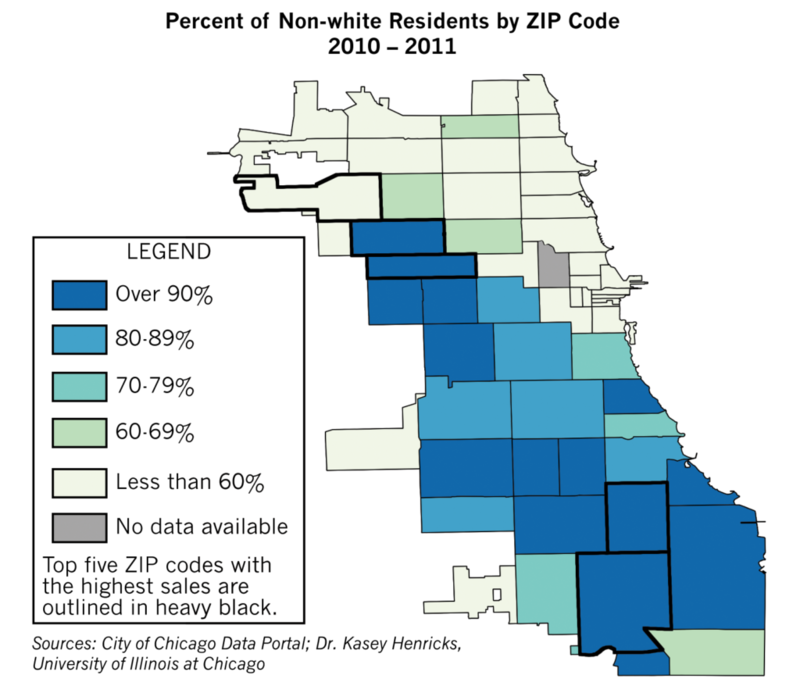 Moreover, much of the money generated in Chicago came from communities of color on the South and West Sides—Henricks found that each one-percent increase in a community’s white residents decreases lottery sales by $44,746. “[It challenges] this whole notion that Chicagoans are a public charge, especially working-class minority folks, that they’re taking from the system rather than giving to the system,” said Henricks. Neighborhoods in the ZIP code 60619—including Chatham, Avalon Park, and Greater Grand Crossing—purchased about $27 million of lottery tickets, the most in the Chicago Metro Area. The ZIP code 60628, which covers Pullman, Roseland, and Riverdale, bought about $21 million. In comparison, many suburban ZIP codes fell below $2 million in annual lottery sales. “Because marginalized communities are the primary source for lottery revenues, the [school funding] formula ends up circulating this money out of these communities and spreads it across all communities,” Henricks writes in his book, aptly named State Looteries: Historical Continuity, Rearticulations of Racism, and American Taxation. In an email, the Lottery warned against solely examining gross sales per ZIP code, as such an analysis does not account for population density, sales per capita, and sales by customers who do not reside in the ZIP code in which they purchased their ticket. In his analysis, Henricks did account for population size and still found that communities of color disproportionately buy lottery tickets. Because of the scope of the state’s budget crisis, both Henricks and Martire said funds from the lottery still aren’t enough to sustain the system; Illinois needs to increase the total amount of funding devoted to education regardless. Martire estimates that the state would need an additional $3.8 billion dollars to fund a quality education for every child, well outside of the $670 million that the lottery is capable of generating. “What the state really needs to do is adjust its income and sales taxes to work in a modern economy,” said Martire. Though the lottery’s contribution to the Common School Fund is likely to remain untouched in the near future, there are reforms that can make it more equitable. The Lottery described its recent efforts to appeal to a broader base of players, including launching Internet lottery sales, expanding its presence in major store chains, and searching for a private manager with the ability to attract higher-income players. Henricks also sees opportunities for the lottery to be reformed while continuing to generate revenue. His proposals include promoting games with larger jackpots—which tend to attract wealthier players—and distributing more lottery funds to communities that disproportionally contribute to the lottery. “Imagine, if we considered where [money from the lottery] is generated from, and then we pumped it right back into the community, whether it’s through improving schools in their local districts or providing small business grants. I mean there’s a variety of things you could do with that money that could really generate social mobility,” Henricks said. Well done article and research! The clear correlations can be used to challenge current educational inequities. Thanks for making this public, and please continue to promote it in political circles.